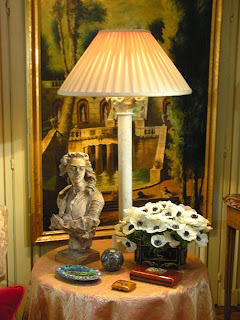 I recently had the great pleasure to visit the apartment of my friend Timothy Corrigan in Paris. I’d seen photographs of the apartment in Architectural Digest and was prepared for a certain glamour and elegance, even hauteur. What made a profound impression, in the end, was the superb comfort and ease of his pied-a-terre, situated in a grand eighteenth-century Haussman building. Light spilled into every room through tall windows. 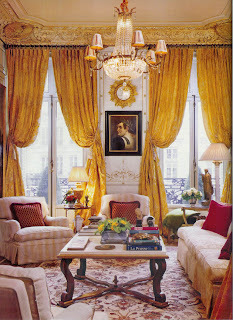 Somehow, with opulent (but simple) golden silk curtains and artful lighting, Timothy conjured up a glowing, optimistic interior mood that was uplifting even on a cloudy Paris day. Ample roll-arm sofas, down-filled, were the perfect pitch for reading or chatting. Mirrors amplified the sense of space. And Timothy filled the apartment with books to thrill a maniac bibliophile (‘On Chesil Beach’, the latest Ishiguro, French poetry, McEwan, Mitford). 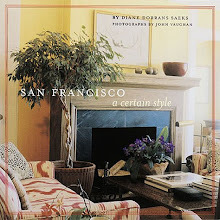 Timothy Corrigan is one of today’s dream designers. 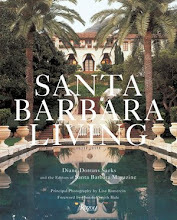 A man of charm and grace, he moves effortlessly from the palatial mansions of Santa Barbara to chic arrondissements in Paris, and from the sleekest architecture in Beverly Hills to the wilds of Normandy. The interiors are luxurious, but at the same time understated and soothing, and he’s never tempted with theme design, even in his elegant chateau. There, in a seriously French setting, his décor was completed with a light hand, with paled-down colors and rigorously edited furniture with no period French clichés. Timothy is versatile—one moment restoring an historic French chateau with just the right amount of modernity—then taking off for a meeting with an enlightened leader in the Middle East. He’s a knowledgeable antiques collector, and knows when to splurge in an interior, and when plain natural linen is ideal. Timothy is focused and devoted to his clients, and a thoroughly nice guy. Just ask Vicente Wolf, a Corrigan fan. Luck—and lots of it—is a good thing in the design world. 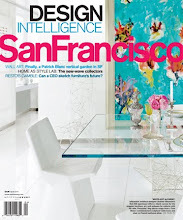 Timothy Corrigan would be the first to say that his interior design firm was launched with good fortune. An advertising executive, Timothy (who grew up in Mexico and California) lived in Paris in cosmopolitan style for several years. A friend asked Corrigan to design his apartment. Timothy discovered a new passion and in just a few years has made first the real estate business, and now decoration and restoration his highly successful career. His company’s services include restoration of historic residences, art and antique acquisition, landscape design, and architecture services. The passionate Corrigan recently introduced Timothy Corrigan Home, a collection of hand-embroidered table linens, signature candles, lead garden containers, a home care line, and decorative accessories. 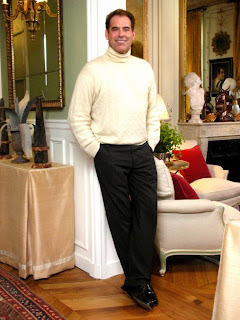 I recently captured Timothy Corrigan between flights—to discuss design, style, practical decorating tips on how to travel well, and to find out what makes the gregarious Corrigan tick. DDS: You must have been interested in houses from an early age. TC: As a boy I was fascinated by architecture. I designed houses out of balsa wood and even created the landscaping around them. When I was ten or eleven I saw a photo of Frank Lloyd Wright’s Fallingwater and I was awestruck. I was so impressed with the way Wright integrated the exterior elements into the house itself. I was lucky enough to have great exposure to the arts as a child. My mother took us to museums and that early exposure established my connection with art and culture. DDS: When did you first decide to make interiors, architecture, and restoration your life’s work? TC: I always loved architecture, but I majored in English Literature. Working at a large advertising agency, I was able to develop strong business skills within a very creative environment. By the time I was 27 had become the youngest senior vice president in the history of big Madison Avenue ad agencies. At the age of 30, I moved to Paris to run the international operations of our European network. I moved back to California and became a full-time designer, with the establishment of Timothy Corrigan, Inc. in Los Angeles in 1998. We opened our office in Paris in 2000. DDS: Did you study design or architecture formally? TC: Museums, travel and books have been my primary teachers. I am a maniac about continuing to learn and grow; my reading is history or architecture and design books and auction catalogues. My seven years living full-time in Europe opened my eyes to the way history has always impacted the world of design. DDS: What was your first major break? 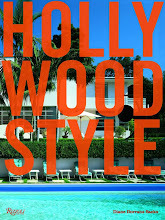 TC: One of my early projects was working for Madonna on a wonderful 1920’s Wallace Neff house in Beverly Hills. The project proved to be somewhat of a baptism by fire and if nothing else, I proved to myself that I could make it as a professional in my new chosen field. DDS: Which design movement has inspired you most? 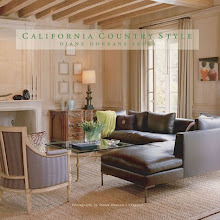 TC: I have been most directly influenced by mid-18th century French architecture and design. It was an era in which everything was changing very quickly. The age of enlightenment brought about the transition from the rigid, yet at the same time, very exuberant style of Louis XIV and led the way to a more free social structure that ironically enough was more restrained and strict from a stylistic perspective. The world is in a similar state today, as we re-assess the excesses of the past 50 years and begin to realize that we must start to think more responsibly – whether in the way we live or the things that we buy. I believe in the importance of living responsibly with the environment. My line of eco-friendly home care products was introduced in 2006. I have always used antiques on my projects because they are such a solid investment and if you think about it, they are also the ultimate ‘green” product—no new resources are used in creating them! DDS: Who has been your inspiration? TC: Two designers have been helpful in my development and their design styles couldn’t be much more different. Frank said that a designer is closely involved with clients and their lives, so “you had better like your client a whole lot at the beginning of a project or you are going to hate them a whole lot by the time the project is done!” Frank is the consummate gentleman and has served a great role model as to how to deal with others in business. 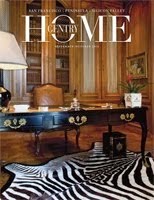 New York design icon Vicente Wolf has been a great inspiration. While at first glance we may appear not to have much in common from a design perspective, we both approach design on the premise that by mixing pieces of different styles, periods, textures and quality you appreciate each one more. Contrast creates spaces that are intrinsically exciting and alive. 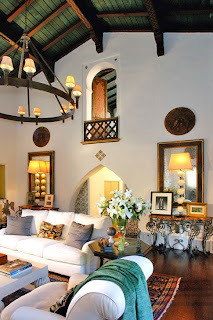 I hate spaces that look too perfect or “decorated.” Vicente has also been such a great inspiration in the way he manages it all: he runs a successful design business, is a brilliant photographer, designs lines of his own furniture and fabrics and is a great collector of art! DDS: Which designer from the past inspired you? TC: Jean-Charles Moreux who lived in Paris from 1889 to 1956 did it all. 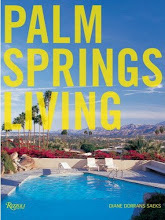 He was an architect, he designed interiors, he created furniture and he did landscape design. In short, he was a true renaissance man. He believed, as I do, in the importance of creating a fully integrated environment. Moreux’s furniture took classical forms as their basis and then shifted it to make it feel more contemporary, provocative, fresh and alive. He mixed wood finishes and materials in unexpected ways. He played with perspective and color. 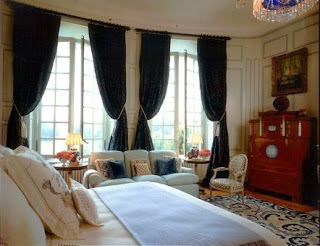 When you see his rooms you are reminded of the past and yet they seem very suited for the day. 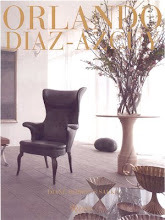 Useful reference: ‘Jean-Charles Moreux-Architecte-Decorateur-Paysagiste’, by Susan Day (Norma Editions, Paris, 2001). DDS: What is your favorite interior you’ve seen on your travels? 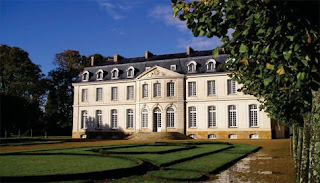 TC: Charles de Bestegui’s famed Chateau de Groussay in Montfort-l’Amaury on the periphery of Paris was so creative. 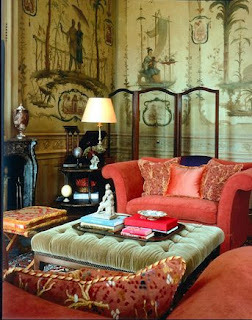 In the 1940’s de Bestigui worked with Cecil Beaton and Emilio Terry to re-do a 19th century chateau he purchased just before the Second World War. I was lucky enough to visit the chateau before it was taken apart and sold off in a mammoth four-day auction held by Sotheby’s in 1999.It was the chic-est place I have ever seen. It was done with such great style and elegance but it didn’t take itself too seriously. 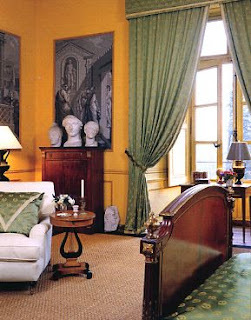 The two rooms that I most loved about the chateau were the Salon and Dining Room Hollandaise (Dutch). The floors had been inset with a really bold geometric pattern of circles within squares in black, tan and white marble and the walls were upholstered in an olive green fabric. All the trim was painted white and black. The overall décor was spectacular but when the Dutch and French old masters paintings were mixed in the entire place became absolutely magical. The chairs were all loosely slip covered in casual big blue and white checked fabric. Throw in a couple of spectacular chandeliers hanging from a white painted coffered ceiling and wow. 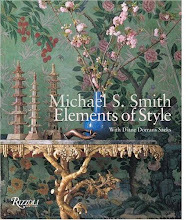 DDS: Which design books do you read again and again? TC: ‘David Adler, The Architect and his Work’, by Richard Pratt ( J.B.Lippincott, New York, 1970). Adler was one of the finest residential architects of the 20th century, working predominately in Chicago. In all of his houses you see that he intrinsically understands how people want to live in spaces. The book, which has long been out of print, has both photos and floor plans that allow you to really appreciate the art of his work. ‘Les Pavilions, French Pavilions of the Eighteenth Century’, by Cyril Connolly and Jerome Zerbe, (The Macmillan Company, New York, 1962.) This book focuses on the small French pavilions or follies that were built in the mid 18th century. A quote from the book summarizes the uses of these buildings: “they were intended for relaxation, of which there were four: conversation, making love, eating and cards. Reading and music were occasionally indulged in.” Doesn’t that say it all? ‘Mastering Tradition, The Residential Architecture of John Russell Pope’, by James B. Garrison,(Acanthus Press, New York, 2004). Pope designed huge mansions all around the eastern US throughout the first quarter of the 20th century. Most of his projects were really pretty grand (a number of the wonderful Newport “cottages” were by Pope) he always understood the importance that scale plays in the way that one interacts with a room. ‘Les Decorateurs des Annees 40, by Bruno Foucart and Jean-Louis Gaillemin, (Norma Editions, Paris, 1998). The furniture and design that came out of France in the 1940’s in its own way equals the zenith of French furniture of the 18th century. 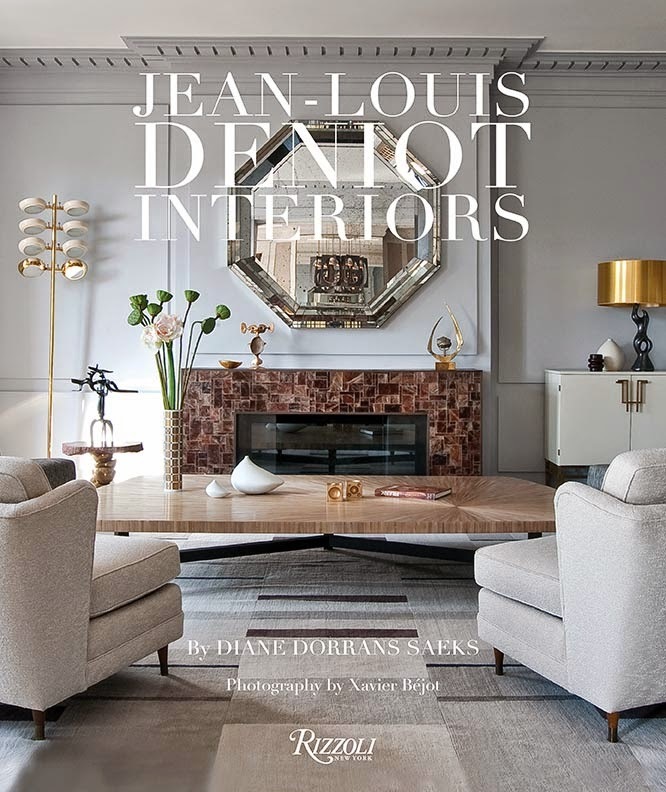 This book has lovely photos highlighting the work of the greats of the period including: Adnet, Arbus, Leleu, Poillerat, Royere and Subes. TC: I love to entertain at home: whether it is a small weekend lunch for a couple of friends or hosting large charity events. In California a dinner might be focused on my business. At my apartment in Paris I am a little more formal and elegant. 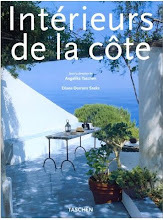 At my place in the French countryside entertaining is about hanging out with close friends. No one wears a watch and the conversations tend to ramble from one subject to another. 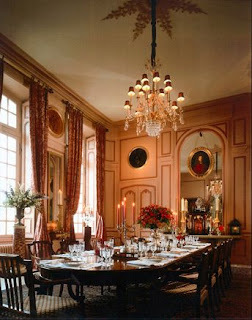 For a dream dinner I would invite Louis XIV of France, because he really is the inventor of style as we know it today. He is directly responsible for France being the center of fashion, fragrances, fine furniture and decorative arts for three hundred years! 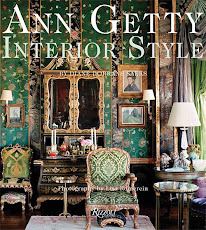 Edith Wharton, is known as one of America’s first women novelists, but she also wrote the first book on interior design and a couple of great books about Italian landscape. 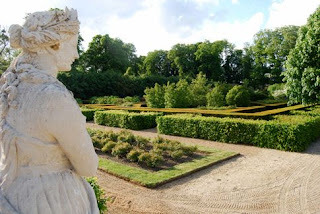 She lived much of her adult life in France and had a wonderful pavilion next to the Chateau de Versailles, outside of Paris. Gore Vidal is the most erudite man alive today. He knows a lot about almost everything: history, politics, and literature. He has known so many of the most well known people of the 20th century, not to mention being the cousin of both Jackie Kennedy and Al Gore. Elsie de Wolfe—(Lady Mendl)—was such a wonderful, wacky character who started out as a Broadway actress, and along the way became a nurse for the Red Cross, one of America’s first interior designers, and found the time to be an international socialite running around between Hollywood, New York, London and Paris, and was even included in several of Cole Porter’s hit songs. DDS: What are your latest projects and where are you working on new projects? TC: A Paris apartment for the ruler of a Middle Eastern country, a 35,000 square foot new construction house in Greenwich, and the restoration of a 1920’s Mediterranean in LA’s first gated community, Fremont Place. What's new: A 5-star hotel in Seattle, a 1930’s house in Montecito, a super yacht in Europe, an 18th century chateau in Normandy, a house on Lake Michigan in Milwaukee, and the restoration of a great old Beverly Hills estate. DDS: The most versatile paint color? 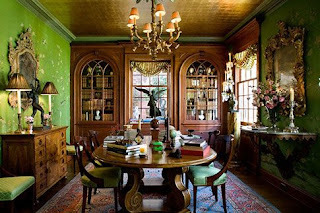 TC: “Verte de Terre” by Farrow & Ball: Green is my favorite color because it reminds me of life and renewal. This green is particularly good because it has a touch of gray to it so that it is really easy to live with. 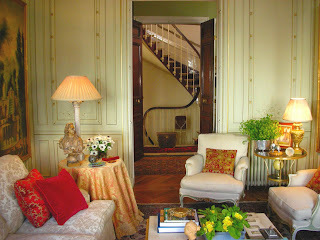 I have used this in the entry to my Paris apartment and as the trim color in much of my chateau in France. “Cream” by Farrow & Ball is warm and rich. It’s a strong, gutsy cream color that reflects really well on people’s skin. “Parma Gray” by Farrow & Ball is the perfect blue for bedroom walls, especially when paired with white trim. It is fresh but very sophisticated. 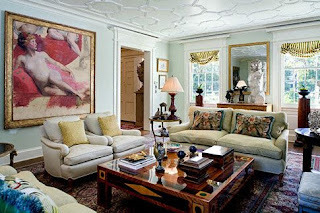 “Riviera Terrace” by Polo Ralph Lauren: This is my favorite color for ceilings. A lovely warm white wit has just enough yellow and pink added to it that it works with almost every color wall; I usually use it in an eggshell finish to help make rooms look a little brighter and the ceilings a bit higher. TC: Pindler and Pindler “Singapore” 100% Linen. I lined all of the walls of my bedroom in Los Angeles with it and covered two sofas in the living room in a different color. It’s really chic but has a low-key vibe about it. It comes in a huge range of colors and is really well-priced. Christopher Hyland: “Patricia”, linen/silk blend is a bold contemporary take on a traditional design. We have used it to cover living room chairs in a fancy townhouse in Paris and to upholster a little jewel box of a powder room. It is offered in a number of jewel-like colors that can add a special punch wherever you use it. 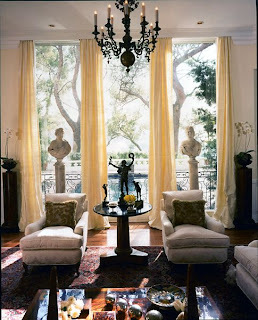 Fortuny: I adore Fortuny, but who doesn’t? Basically, you could hand me any of their designs in any color and I would love it. 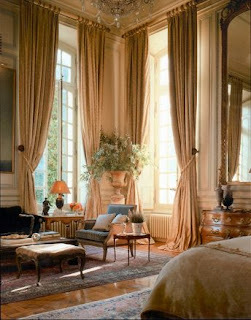 Recently, I used Fortuny for the curtains in the formal dining room at my chateau in France. The magical blend of corals, reds and pinks work together so well that I took some of the same colors to paint the 18th century paneling on the walls. DDS: Secret of traveling well? TC: First, I never eat meals served on the plane, no matter which cabin. I bring a small sandwich that usually elicits a few envious glances from the other passengers that are struggling with the airline meals. I bring my laptop computer with all my music, I make lists, sleep, and write emails that I send as soon as I land. TC: Interior design is a very fleeting, transitory thing so it’s important not to take yourself too seriously. On the other hand the architectural part of our job is much more likely to have a longer impact. I try to create an environment where people feel really at home and welcomed. Comfort is the key ingredient. Comfort is more than just being soft and cozy though—comfort is also a mental thing—do you feel comfortable enough to be able to put your feet up on something? Can you put down a glass on a table without worrying about leaving a mark? Can you let the kids play in the room without being afraid that they are going to ruin something? That is essential. DDS: What advice would you give to young designers, beginning designers? TC: Design is all about trust between you and your clients and you and your suppliers. You must establish that sense of mutual trust and continue to reinforce it all along the way. Designers must listen to the client. It’s not about you or your ego. Another wonderful profile Diane! 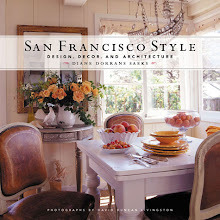 I was so interested to read about Mr. Corrigan and how his design relates to that of friend Vicente Wolf. 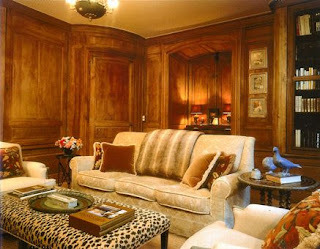 I agree with his comments about how to bring an interior to life by mixing styles and periods. AND I was happy to learn about his favorite fabric, since I am looking for a linen for slipcovers this very moment! Thanks again. Another fascinating and educational post! I love every single thing Tim does; and agree with his philosophy of our business! ps I hope you are getting lots of free things from all the suppliers that you will have to disclose!! The government totally misses Madoff right under their nose; and now they're going after bloggers? It makes no sense. I am speechless at this interview with Tim Corrigan. What an accomplished, talented and well-spoken designer. The description of that chateau he saw in 1999 was incredible, I would love to see photos. 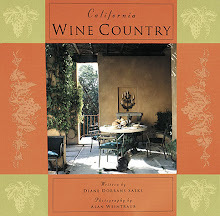 Thanks Diane for the enjoyment you do bring to us here on your blog! Dianne, nice coverage as usual! One note regarding the Haussman edifice, this could not be 18th century, as Haussman did not invent the grande boulevardes of Paris until late 19th century, unless this residence exists from the 18th century but is surrounded in a Hausman apartment block, anything is possible! I am currently in Buenos Aires for the autumn, the French architecture here in Recoleta deserves your impeccable eye and commentary. Any chance of that in near future? So happy to have found your blog! It's fabulous! I have many of your books in my library! They are my favourites! Your work is to be admired. Look forward to your blog too. I am so pleased to have discovered your blog! I found you through Trish from Trouvais! And when I clicked on your blog the first thing I saw was this post about Timothy Corrigan! He is one of my favourite designers! Thank you so much for this stunning interview with him! PS I added you on my bloglist. Thanks so much for wonderful comments. 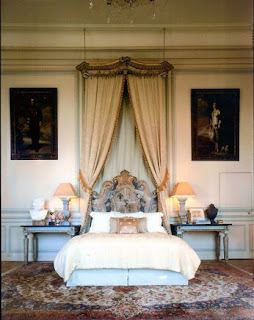 Timothy's rooms: they photograph well, and they are beautiful rooms to spend time in. 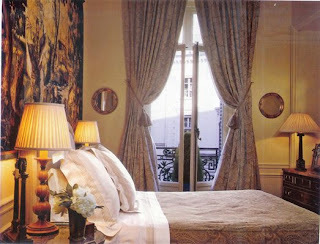 He has an art of making rooms in France feel 'French' but not in the cliche way. They feel traditional but fresh. Best of all, he seems to be able to capture light. Penny: no, absolutely no freebies! I think they all go to the beauty bloggers! 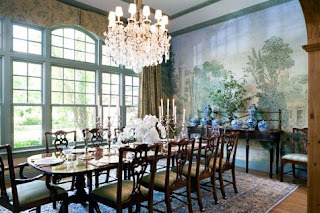 In any case, I always love to know about designers' favorite paints and fabrics. 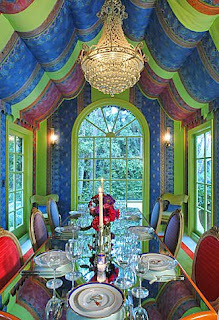 For other designers this often confirms a selection (F&B colors for example) and for others it offers great inspiration. Designers spend years testing and retesting fabrics and paints and wallcoverings and I love to see their recommendations. As said by Ralph Waldo Emerson.. Welcome and I'm so pleased to hear from you. Quoting Emerson is such a fantastic inspiration. Oh my dear Diane, how come I've never seen this post? 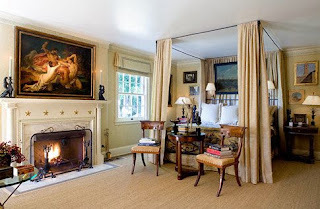 Reading your writing, Tim's inspiration and looking at his decor - is like smelling a classy scent from Houbigant - is 100% refinement to the core. 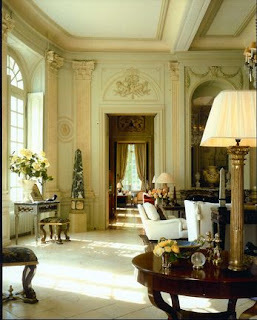 His French interiors took my breath away. 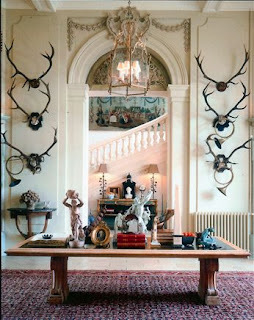 If Nancy Mitford or Diana Cooper was still alive, I think she would hire him to do her house decor, don't you?